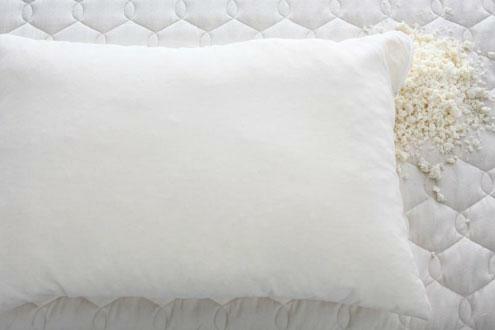 Earlier today, I reviewed the awesome Savvy Rest Shredded Latex Pillow in standard size. Now, you have a chance to win one for yourself. If you didn’t check my review, I’ll recap quickly. The Savvy Rest Shredded Latex Pillow is a super comfy over-stuffed pillow that unzips so you can take out some of the latex and make the pillow just the way you want it. It retails for $89 on the Savvy Rest website, and it’s worth every penny. Before entering the giveaway, be sure to check out the other great products that Savvy Rest sells, including their comfortable-looking natural latex mattress and visit Savvy Rest on Facebook to learn about deals and news. One winner will receive a Standard Shredded Latex Pillow. Giveaway is open to residents of the continental United States, age 18+. It ends on Dec. 5th at 11:59PM. Winner will be notified via email and has 48 hours to respond. To enter, simply follow the directions on the Rafflecopter form. Thanks for the awesome giveaway! I wish I had that pillow right now!